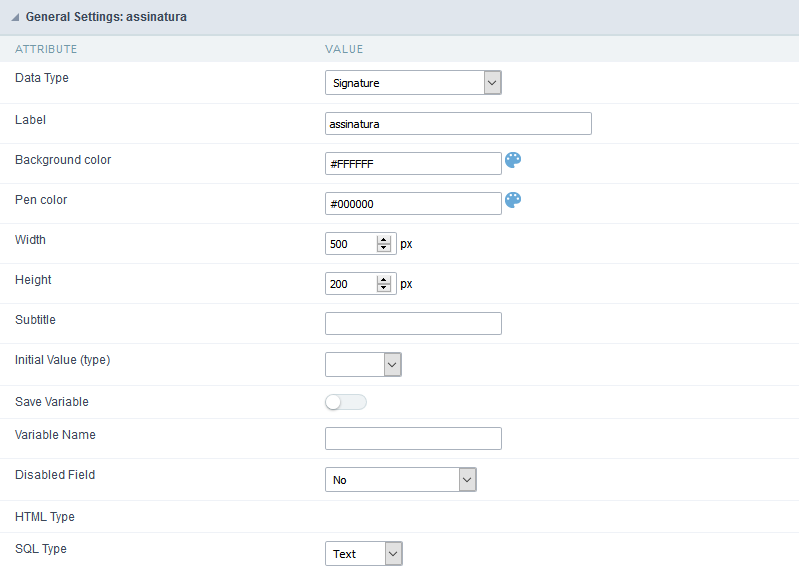 Configuration Interface of the Signature Field. Data Type : Define the type of field for the application. When it is defined as a text, it accepts letters, numbers and special characters. Subtitle : Allows to define the subtitle that will be displayed beside the field. Font Color : Allows to choose a color for the font from the color pallete. 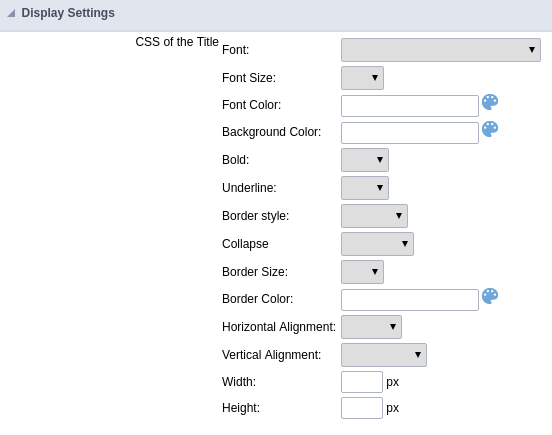 Border style : Allows to choose a style for the border. Collapse : Allows to define the collapse for the border.